New Delhi : A high-level committee has been set up to probe the Scorpene data leak from the Indian side, said Naval chief Sunil Lanba. Initial reports suggest that the leak did not happen in India, but in the DCNS office in France. Sunil Lanba was speaking at the launch of India's latest warship Mormugao. Admiral Lanba said, "There is a high-level committee which is inquiring into the Scorpene Leak on our side. Similarly, in France, DCNS and the French Government have launched an inquiry. Based on this inquiry, we will see what needs to be done and whether any mitigation measures are required or not." "In a preliminary investigation, it has been found that leak did not happen in India, but in the DCNS office in France," he added. 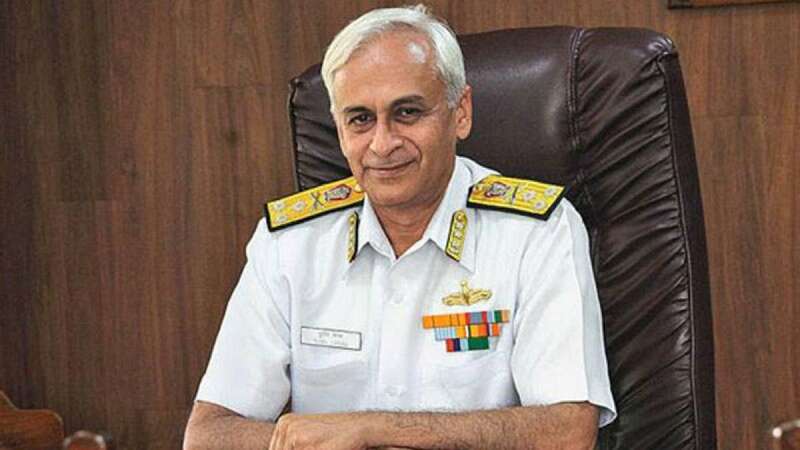 # Admiral Sunil Lamba announced that a high-level committee is inquiring the Scorpene data leak matter from the Indian end. # As per initial reports, the leak did not happen in India. Instead, there are great chances that the data was leaked in the DCNS office in France. # Sunil Lanba addressed the media at the launch function of Indian navy's latest warship Mormugao. # Defence Minister Manohar Parrikar on the other hand claimed that leaked data in not a major concern for India. # Mr. Lanba on the contrary termed it as a matter of serious concern and asked DCNS to launch urgent investigations into the matter. # Highly confidential data of six super-advanced naval submarines being built in India in collaboration with French company DCNS was leaked a few weeks ago.